Riveting stuff from the online marketing experts ... great advice for YOUR business, Every Month! CLICK HERE TO APPLY - IT'S FREE! Why Creating a Facebook Group is an Absolute Must For Your Local Business. In February of 2018, Facebook announced plans to prioritize personal content and de-prioritize content from pages. That means that if you've got a Facebook page for your local business, your content is only being seen by a very small percentage of your fans unless you pay to promote it. But there’s a super-easy (and FREE) way to connect with both existing and potential customers on Facebook... Here's what you need to know. 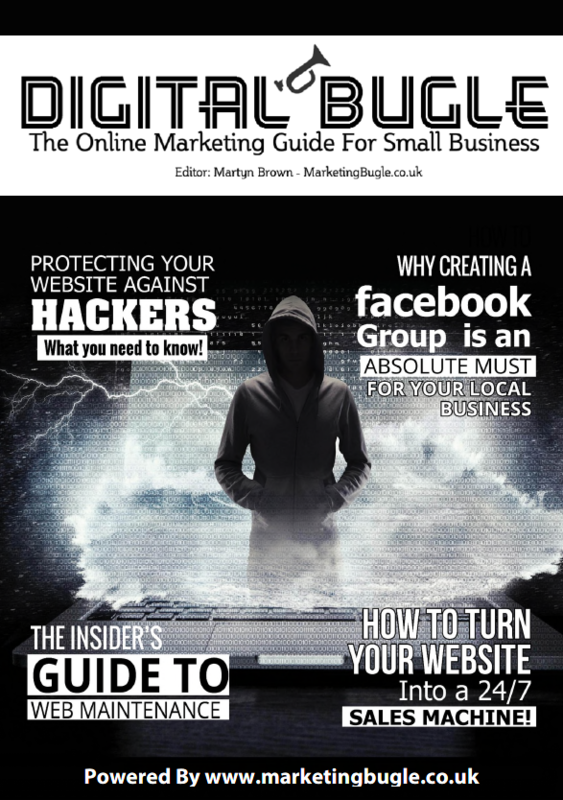 Protecting Your Website Against HQ Hackers - What you need to know! If you're paying attention, you know that cybercrime Is no joke. In 2017, cybercrime cost $3 trillion annually, and projections indicate that number will double by 2021. Scared? You should be. But that doesn’t mean you can't do something to protect yourself Cybersecurity experts are working constantly to stay ahead of hackers but you need to be proactive and do what you can to protect your business. Here are 8 ways you can protect your website and data. As a business owner, you've got to wear many hats in the course of a day. You might be a salesperson one minute and a human resources manager the next. It's a lot to do. Website maintenance is the perfect example. lt might seem unnecessary-and you might wonder if it's something you can ignore. Hot tip: It's not. In fact, website maintenance is essential to everything from SEO to user engagement - and those things both lead directly to your bottom line and we're going to tell you why. Having a great-looking website is enough to keep your business healthy and growing - right? Actually, it's not that simple. The sad truth is that most local businesses aren't doing enough to generate leads online. And, it all starts with their websites, which - let's face it - aren't getting the job done. The good news is, you can change that. No matter what it looks like, you can make it better and turn It into a 24-hour marketing machine. In this article, we'll show you how.